other related subjects can contact William J. Martin at his office in Westwood at (201) 666-5576 during normal business hours. Click here to browse VIDEO clips of _ " Q u e s t i o n s _ f o r _ W J M_ ARCHITECT "
noteworthy WJM projects or events. 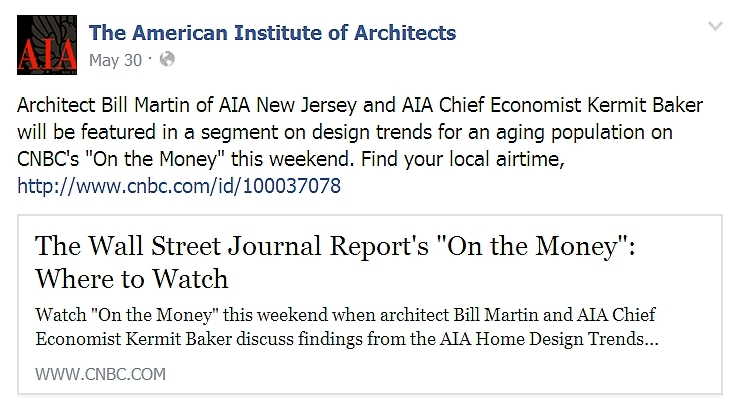 JUNE 2014, Park Ridge, NJ --“Aging in Place” Bill Martin, of William J. Martin WJM Architect appears on CNBC cable-TV news show "ON THE MONEY"
JUNE 2012, Emerson, NJ --“EMERSON TOWER” NEARS COMPLETION ADDING A NEW LANDMARK BUILDING ENHANCING AND DEFINING THE REBIRTH OF THE EMERSON DOWNTOWN. The Emerson Hotel Restaurant, a signature landmark in the Borough for over 140 years, now has a new neighbor -– the Emerson Tower Building. 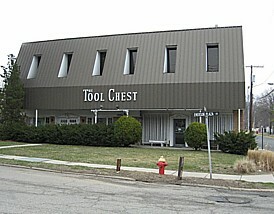 Designed by Architect William J. Martin, WJM Architect, of Westwood, NJ, the building was the previous location of the Tool Chest, which closed several years ago. The building contains two retail stores and parking at the ground level and three (2) bedroom apartments and an office space on the second floor. Great care was taken to properly proportion the design to fit aesthetically into the existing context of the Emerson Downtown area. 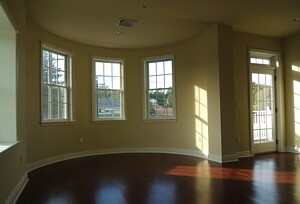 The building’s apartments and office have skylights to make ample use of daylight and reduce electrical lighting needs. Superior insulation design has also been utilized. A Closed Cell Spray foam insulation was specified to reduce energy usage. This will have a significant sound dampening effect that standard insulation materials lack. “These apartments will be energy efficient and quiet” says Architect Martin. Other apartment features include open plan designs, separate powder rooms and private full baths, and in-unit laundry areas. Two of the units include balconies, one of which overlooks the town train crossing. Pavered sidewalks, decorative street lamps, and streetside landscaping improvements round out the exterior improvements. The design was considerate and consistent with the Borough’s goals and will enhance aesthetics along Emerson Plaza East. The work is scheduled to be completed in the next few months. William J. Martin, AIA - WJM Architect design wins merit award from the American Institute of Architects, New Jersey Chapter, in sustainable design competition. On June 23, AIA New Jersey Committee on the Environment (AIA-NJ COTE) presented the COTE Top 10 Awards competition recognizing outstanding built work in the area of sustainable design. The Top Ten Green Projects program seeks to identify and recognize the benefits of a high performance, sustainable design approach; to educate the architectural community and the public at large on the increased value that sustainable design provides for developers, building owners and occupants; and to acknowledge architects as experts in the creation of energy conscious and environmentally responsible design solutions endeavoring to meet the Architecture 2030 goals. WJM’s winning design is entitled “Knight on a Chessboard” and is a single family home constructed at 28 Cross Street Hillsdale, NJ. The home was constructed by Homes For Our Troops for injured Iraq War Veteran Cpl. Visnu Gonzalez. Features of the winning design include: 4 bedrooms, 2-1/2 baths, elevator, photo-voltaic panels, solar gain management, geothermal heating and air conditioning, L-E-D lighting, rain water capture and re-use, indigenous plantings, super-insulated foundation (R53), walls (R24), and roof construction (R60). This juried design competition evaluated projects based on a broad and inclusive definition of environmental design quality that included performance, aesthetics, community connection, and stewardship of the natural environment. Jurors reviewing the designs included Urs Gauchat, AIA | Dean, NJIT School of Architecture, Randy Croxton, AIA, LEEDap | Partner, Croxton Collaborative, and Darren Port | NJ Department of Community Affairs, Green Codes Coordinator. ARCHITECT ON LINE Magazine, published on-line by Hanley Wood, LLC has reported on the WJM Architect website. The article, contained in their "Links" section for internet links, refers to WJM's architecural design philosophy statement Econo-Functional Aesthetic Balance. WJM's approach to achieving design goals, called Econo-Functional Aesthetic Balance or E-FAB, creates a harmonious balance between design goals that seem to conflict. 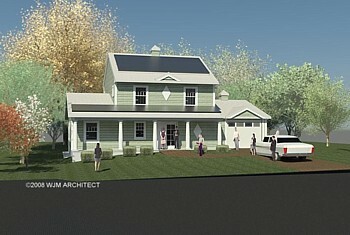 "ARCHITECT ON LINE --- LINKS"
AFTER 3 YEAR WAIT, SEVERELY INJURED IRAQ WAR VETERAN TO RECEIVE NEW “GREEN DESIGN” RENEWABLE ENERGY HOME IN BERGEN COUNTY NEW JERSEY. Taunton, Mass. based Homes For Our Troops (HFOT) is moving forward with a new home for injured Iraq War Veteran Cpl. Visnu Gonzalez. Homes for Our Troops is a non-partisan, non-profit 501 (c)(3)organization that provides specially adapted homes for severely injured service members. Through a growing network of monetary contributions, donations from building contractors, suppliers, corporate supporters and local volunteers, HFOT is able to provide assistance at no cost to the veteran. Cpl. Gonzalez will be settling in Hillsdale, NJ. After an issue arose regarding a home site in another town, volunteer James Tortorelli of Coldwell Banker Real Estate located another site, this time in Hillsdale one block east of Broadway on Cross Street. The new site will contain a new four bedroom, state of the art energy efficient home for Cpl. Gonzalez and his family. The new home, designed by Westwood NJ architect William J. Martin, AIA, will utilize the latest in building science “green design” principles and is seeking LEED “platinum” certification by the U.S. Green Building Council.  LEED stands for Leadership in Energy and Environmental Design and is a green building rating system by which buildings are designed, constructed and rated for energy efficiency and environmental sensitivity. Buildings are built using environmentally responsible construction materials and methods. With some grant funding from the Sierra Club, the home is projected to be partially self-sustaining by creating some of it’s own renewable energy. Features being considered include an energy efficient geothermal heating and cooling system and photovoltaic solar arrays to generate electrical power. Walls will be constructed of prefabricated SIPs panels. The Structural Insulated Panel system allows for higher insulation values and is tighter than standard construction. Senior Project Manager Rick Goyette of Homes for Our Troops is coordinating the project and says “HFOT is committed to incorporating green design building principles”. 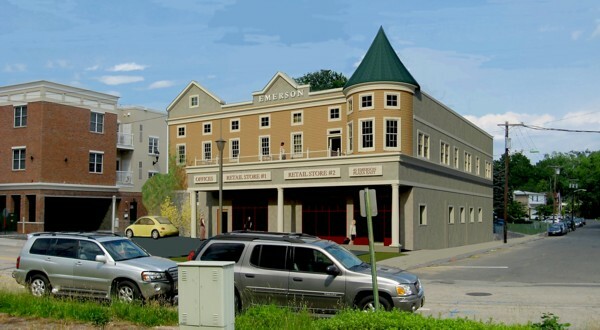 EMERSON HOTEL RECEIVES APPROVAL FROM THE EMERSON PLANNING BOARD FOR A RANGE OF BUILDING IMPROVEMENTS ENHANCING THE EMERSON DOWNTOWN. 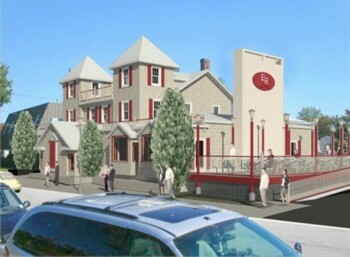 October 2008, Emerson, NJ--The Emerson Hotel Restaurant, a signature landmark in the Borough for over 140 years, has received approval for improvements including an outdoor dining deck, handicap accessible ramp, and exterior lighting. The approval was granted at the Emerson Planning Board public hearing of August 21, 2008. The improvements proposed are considerate of the Borough’s goals and will enhance aesthetics along Emerson Plaza East. All the Planning Board members present including Emerson Mayor Lamatina welcomed the improvements proposed and offered many valuable suggestions during the review process. Emerson Hotel owner “Ken” Cheng and restaurant manager Eric Lutz were pleased to see the open-minded approach the Planning board is taking with the downtown area. Designed by Architect William J. Martin WJM Architect, the dining deck, ramp, and lighting are designed to be compatible with the iconic beauty of the Emerson Hotel’s Victorian Queen Anne styling. Martin, who is known for re-designing historical buildings in Westwood and Park Ridge, is keenly aware of the significance of the building to the Emerson downtown. “When this striking building is glimpsed from Kinderkamack Road, you know you have arrived in a special place” said Martin. This exterior deck with canopy will serve as dining, waiting space and the accessible ramp will make the restaurant feel more connected to the streetscape of the downtown area. This is one of the goals of the borough. Also, pavered sidewalks, decorative street lamps, and streetside landscaping improvements are all part of the proposal. Other improvements made to the interior include electrical wiring, lighting, interior ramping, and toilet room improvements to upgrade the building in general and better service customers of all ages and mobility. The existing handicap parking spaces will be relocated near the bottom of the new access ramp. Construction will begin as soon as possible with completion anticipated spring 2009. PHOTOS: 1908...1923...1999...2008...One Hundred Year Old Building, adapted, protected and preserved for future Pascack Valley generations to enjoy. April 2008, Westwood, NJ--The First National Bank of Westwood alteration redesign (Parian Jewelers Building) by Westwood architect, William J. Martin, R.A., AIA, will receive a 2008 Historic Preservation Commendation Award from the Bergen County Historic Preservation Advisory Board. The Building is marking its 100th year in 2008. The sympathetic redesign was chosen in the “Adaptive Use” category. Martin worked closely with owners Mike Viola and Roy Parian on the design details. "The owners attitude and commitment made this project a success," said Martin. The redesign was cited in the county award letter as an "excellent example of Historic Preservation effort" for the historical sensitivity it demonstrated. The project blended traditional and modern materials, creating an energy efficient environmentally sensitive design without compromising the integrity of the original design, achieving a balance between both important goals. Martin's approach to achieving design goals, called Econo-Functional Aesthetic Balance or E-FAB, creates a harmonious balance between design goals that seem to conflict. 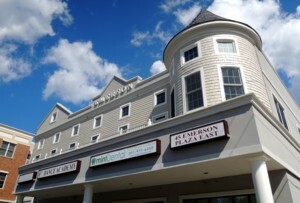 Selected from a field of other project nominations, the design appealed to the Board because it demonstrated a detailed effort to preserve and protect a building that embodies the rich commercial history of Westwood, the Pascack Valley, and Bergen County during the historic transition from a mostly agricultural economy to one of greater diversity. This is the fourth Commendation Award for a project designed by Architect Martin in the last 8 years. Other project awards include the Bogert Built Furniture Office Building, also in Westwood, and the Pascack Historical Society Museum in Park Ridge. The Awards Program ceremony will be held Thursday evening, May 8, at 6:30pm at Hackensack's historic Church on the Green, 42 Court Street, Hackensack, NJ.. County Executive Dennis McNerney and the Board of Chosen Freeholders will present the commendation. September 2006, Westwood, NJ-- Architect William J. Martin, R.A., AIA is featured on the cover of the Fall issue of Pascack Valley Magazine. The 6 page article, entitled "In With The Old?" by Kevin Glynn, profiles Martin and his work designing to preserve the historical character of significant local buildings. The award winning buildings are featured in photos by Photographer Ted Axelrod and details of the designs are discussed in the text. William J. Martin, WJM Architect is located in Westwood, NJ, and specializes in designing buildings, alterations and additions to fit appropriately into their locations. Aesthetics, function, and economic factors are all given consideration in the design process producing cost effective, beautiful, and long lasting buildings. 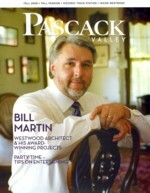 Pascack Valley Magazine is published 4 times yearly by North Jersey Media Group, Inc.
April 2006, Westwood, NJ--The home of Westwood architect, William J. Martin, R.A., AIA, will receive a 2006 Historic Preservation Commendation Award from the Bergen County Historic Preservation Advisory Board. The sympathetic addition to Martin's 1895 vernacular house was chosen in the Continuing Preservation and Use category. Martin's addition was cited as an "Excellent example of Historic Preservation effort" for the design sensitivity it demonstrated. Selected from a field of other project nominations, the design appealed to the Board because it illustrated the difficulties of adding on to an existing older home without compromising the integrity of the original design. The Awards Program ceremony will be held Thursday evening, May 11, at 7:30pm at Hackensack's historic Church on the Green, 42 Court Street, Hackensack, NJ. This is the third Commendation Award for a project designed by Architect Martin in the last 6 years. Other projects awarded include the Pascack Historical Society Museum in Park Ridge and the Bogert Built Furniture Office Building in Westwood. WJM is quoted in article "Amenities That Add Up / More Fantastic Features" by Kathie Robitz. The article discusses home features that add pleasure and value. WJM is quoted in article "Neon NO-NO at Bagel Eatery" by Paul Rogers. The article discusses the affects of a neon sign ban in Westwood, NJ. WJM is quoted in article "Sides Drawn Over Proposed Tattoo Parlor in Westwood" by Paul Rogers. The article discusses a Zoning Board application in Westwood, NJ. WJM is quoted in article "Specialty Food Mart Finds New Home" by Ron Dixon. The article discusses Trader Joe's Zoning Board application in Westwood, NJ. WJM is quoted in article "County Recognizes Restoration Project in Westwood" by Carolyn Molyneaux. 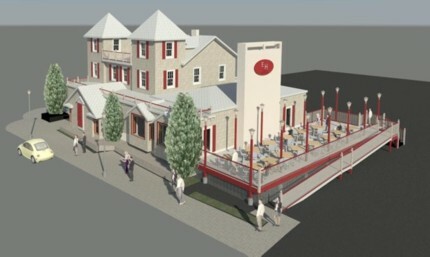 The article discusses Bergen County Historic Preservation Award given to WJM designed project. WJM is quoted in article "PUBLIC NOTICE Westwood to get new Community Bulletin Board" by Nathalie Covo. The article discusses proposed bulletin board in Westwood, NJ. WJM is quoted in article "The Art of Collaboration" by Daina Manning. Kitchen and Bath Designers collaborating with Architects. WJM was a guest panelist for the discussion with a live audience of 300 people. (National circulation est. 1,000,000 copies / month) July / August 2005 Issue. WJM is quoted in article "Mixed Plate" (pages 31,32,33) by Sallie Brady with photos by David Prince. The article showcases a WJM project and discusses appropriate kitchen design for the 1895 home in Westwood, NJ.